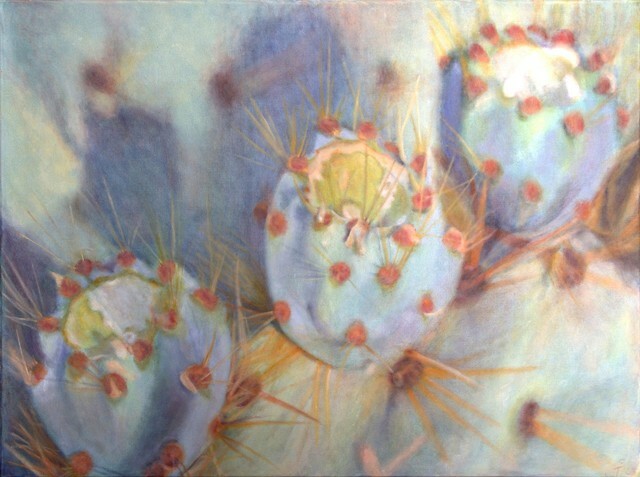 Prickly pear (also known as Nopal tunas in Mexico) with blue shadows. Gallery wrapped canvas with painted edges. No framing.